Question: In which country were you born? I was born in the Clinica Biblica, a hospital in San José, Costa Rica in 1955. My parents had been raised in that central American republic, having emigrated from Poland with their families prior to the Holocaust. I was brought as a child to the US, where we lived first on the south side of Chicago and later in southern Florida . I attended university in Massachusetts where I completed my undergraduate work, my master's degree and my doctorate. Question: Where do you live? Tell us a little about your family? I have made my home in Israel since 1984. I lived for several years in Rehovot, a historic rural center and university town. For the past sixteen years, my family and I have lived in Mevasseret Tzion, a town north and west of Jerusalem. My wife is a biochemist who is VP for research and development in a biotech firm. We have two children, a daughter who is preparing for her university studies and a son who is completing his obligatory military service. I have several fields of professional activity. I am a geographer with specialization in international development and global change. In the past I have written widely on international affairs. 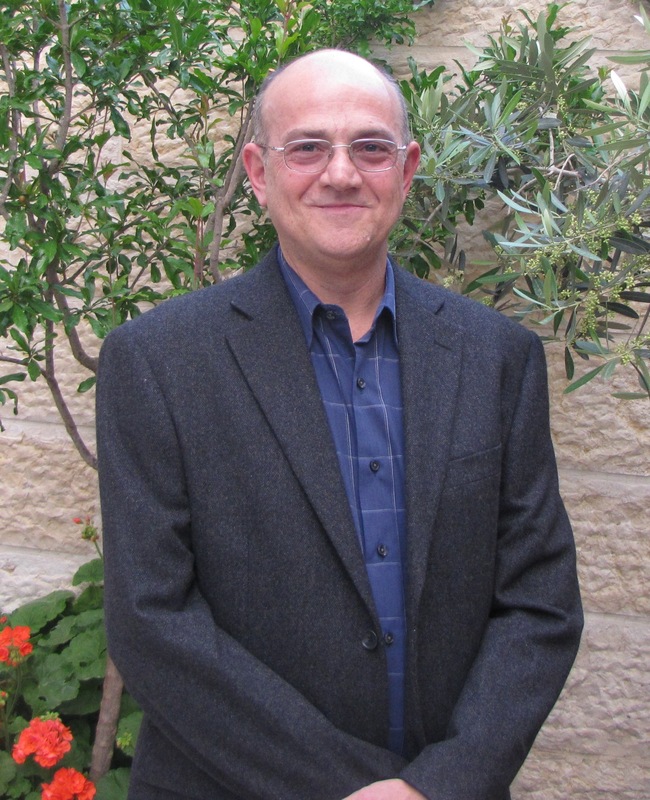 I also direct a program in Text and Publishing Studies at David Yellin College of Education in Jerusalem. Recently, I have been developing an independent publishing framework called 'Atida Press for my own works and possibly that of other authors. I consider myself an author, first and foremost. I have been writing for many years. Writing for me is a passion, mission and occupation. Question: When did you begin to write poetry and what prompted you to write? While I began writing poetry as a youngster, it was not been a form I focused on until some five years ago. I began writing short stories in my teens and I authored a play in the tradition of theatre of the absurd and protest theatre in high school. I began writing longer works of fiction in my early twenties. A deeper appreciation for poetry came to me in 2007, when I was recovering from a serious illness. I write as a means of expression and as a way of contributing to understanding, my own and, hopefully, that of other people. I write fiction because it is something that demands itself of me. Question: You have just joined Voices Israel. How did you hear of us? I heard of Voices while participating in the 100 Thousand Poets for Peace event held in Haifa, Israel last September. I was invited to attend the event by Dr. Ada Aharoni, a distinguished poet, author, scholar and activist who is the founder and president of the International Forum for the Literature and Culture of Peace. Wendy Blumfield, president of Voices, also participated in the Haifa event. She graciously invited me to become a member. Question: Do you belong to any other writing/poetry groups? Please tell us a little about them. In the course of my professional activities and as director and a lecturer in Text and Publishing Studies program I am in contact with many groups and resources dealing with writing, editing and publishing. This is essential in order to keep abreast of ongoing developments. I have also participated in a year-long workshop group mentored by Judy Labensohn, a highly regarded teacher of fiction and creative nonfiction. Voices has become a support group for the literary me. In general, when I am writing, I tend to complete works without outside input. When I have a cogent draft, I seek out individual peers for feedback. Question: What inspires your poetry? The absolute wonder of life and the attempt to articulate meaning and purpose. Question: Which forms do you prefer? Why? The literary form that is the most expressive for me is the large canvas of a novel. I welcome the possibilities for character and plot development that can be drawn out in an expansive work, and the flexibility of the temporal aspect; in the novel, experiences and relations become the measure of time. The novel provides for the full expression of theme and context, including social, economic, cultural and psychological dimensions. The poem remains for me the hearth where one can temper a thought, experience or feeling into its most exquisite form. When well done, a poem need not relate to any other concrete aspect of corporeal existence, though it inevitably resonates with transcendent meaning. Question: Who is your favorite poet? Dylan Thomas. I also find myself often recalling John Donne's work, as I did when I fashioned a poem following the recent death of a friend. The Bible has always inspired me; Kohelet, Ecclesiastes, has anchored me since grade school. I will also take this opportunity to admit that there is poetry that I greatly appreciate in the lyrics of contemporary music, including folk, blues and rock. Question: Where have you been published? My nonfiction work has been published in a variety of periodicals. My first book, Self-Determination in the Middle East was published by Praeger in 1982. Another work dealing with society-nature relations, Development, Environment and Global Dysfunction was presented by St Lucie press in 1996. I have had opinion pieces in The New York Times and Los Angeles Times. I have also published in academic journals, mainly in the discipline of geography. I blog occasionally in Green Prophet, the Mideast environmental website. Question: Please tell us about RISE, your novel, which has been such a success. 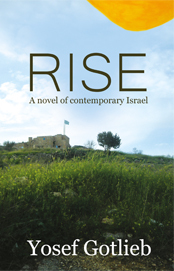 Rise, A Novel of Contemporary Israel is a work that has been long in the making. It's a political thriller, a form that I felt offers the best vehicle for accomplishing the work's mission: providing insight into social currents that threaten my beloved nation from within. It's about people taking responsibility for themselves and their society and seeking to restore their country on the foundations that it was originally established, that is, social justice. It is an appeal for greater tolerance and for coexistence between Israel and our neighbors, and for more neighborly relations between Jews and Arabs. The story revolves around Lilah, an internationally-acclaimed photographer, who returns home to her native land after thirty years of self-exile following a family tragedy. She returns to Israel and finds herself caught in a cauldron of events that forces herself to overcome her past. By participating in the struggle to redeem the nation she finds herself finally "home," and though the personal price of her homecoming is high, she finds renewal and enhanced meaning in her life. Rise is presented to readers by Atida Press, the publishing framework that I established to avail myself of the benefits of independent publishing. Achieving publishing independence is liberatory for authors in many respects, though the responsibilities are many. Rise now appears both in print and eBook formats internationally on all major Internet platforms and eReaders. Two chapters are always found on my website www.ysgotlieb.net and one of them is rotated each month. Question: Is there anything else you would care to tell us? In my poem, Bialik Hall, Writers House I attempt to communicate the importance of literary and cultural endeavor. In a global age characterized by bewildering change, and given the shortcomings of politicians and other authorities in terms of leadership today, I believe that it is up to poets, writers and cultural proponents of all kinds to provide a moral compass, vision and stewardship. It is up to us to carry the light and keep it burning. We must strengthen each other, across borders and boundaries of all kinds. And March to All Corners. Eager for the spoils, they had been promised. Arēna, a place of sand, atop the sand, was erected. Nothing, now, could they buy. Others could have never known. Vienna’s passions are sublimated into great music, art and theory. Klimt, Schiele, Freud, Mozart, Beethoven, Herzl. Freud’s theory seems correct as social representation of petit-bourgeois Vienna of the time. The question is: Are these patters universally projectable. I found myself quite affected after only a few hours of walking in central Vienna on the weekend of Dec. 9-11, 2011. The sentiments I felt find expression in this poem, which I began while standing between the old Jewish section of the city and the Scottish quarter. After arriving after dusk on the avenue near the Stephenplatz, I composed the second part of the piece. Like tears stuck in time. His eyes scouring the shoreline. And where safe harbor might be found. Clutching lanterns bearing a small light. Inscribed, then recited to all who will listen. An outrage, she would not concede. With the iron of her soul. There is much more water than stone. Is this happenstance or design? Light, ‘o light, you warm me so. a life devoid of us.